This long, plank-top table is specially designed to be easily dismantled for storage or transportation. 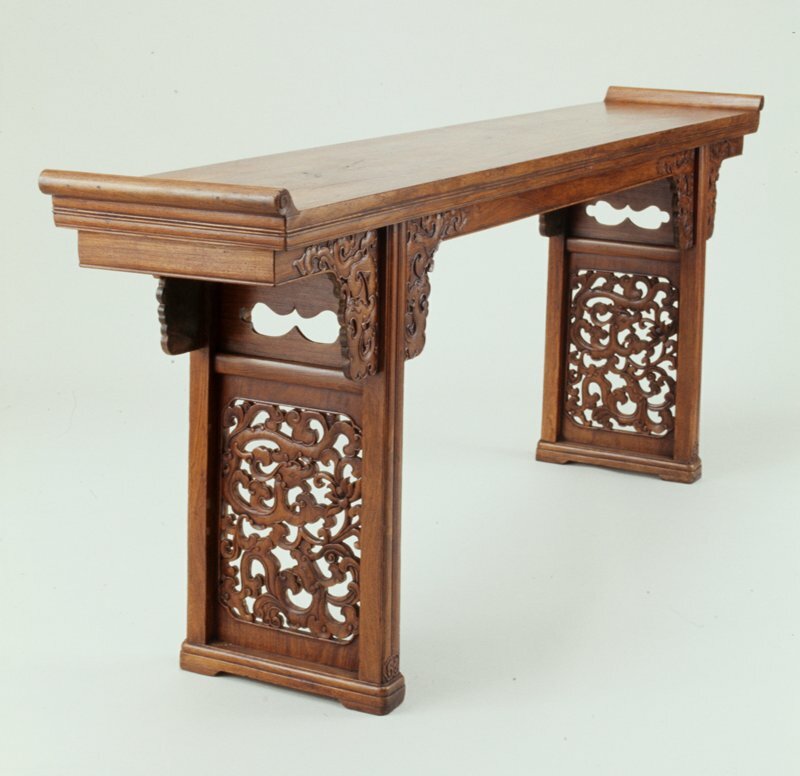 Probably intended for use as an altar table, the carved phoenix decor in its bridal joint, spandrels and leg stretchers are typically Ming in spirit and reflective of the Suchou style. Long tables were made in both plain and decorative versions and were nearly always used placed against the wall. They typically displayed precious objects or ritual utensils such as censers or small statues used in religious ceremonies.